NOUAKCHOTT: Mauritania has attracted funding from Arab organizations totalling more than $850 million at a one-day international investment forum, the government said. 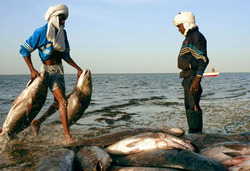 The investments, equivalent to almost a fifth of the size of the economy, will pump cash into fisheries, agriculture, livestock, health and roads while funding imports from Arab countries to the tune of $145 million. The event brought together some 500 investors, including Saudi Arabia and a large number of Arab and international funds and agencies, the finance ministry said. The goal of the forum was to raise awareness of “the enormous potential of the country”, its investment opportunities and the “attractive” legal framework put in place by the government, according to its organizers.